While Sun, Hi, Stax, & Goldwax created and delivered Memphis’ rockabilly, rock, & soul superstars to the world, Memphis was teeming with tons of excellent garage & frat bands in the ‘60s & ‘70s—hundreds of them on every YMCA & VFW hall corner! 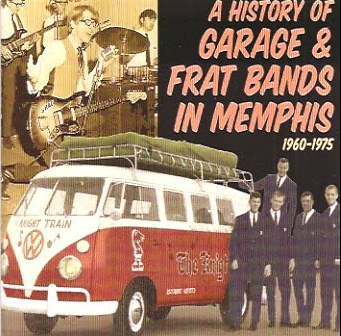 Ron Hall documented this Beatles’s inspired music explosion in the record-breaking book Playing for a Piece of the Door: A History of Garage & Frat Bands in Memphis, 1960-1975. 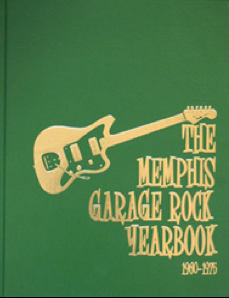 Hall followed that up with a collectible yearbook documenting many of the garage bands in Memphis entitle The Memphis Garage Rock Yearbook. These two books and the accompanying 3 cds are essential for any fan of nasty garage & soul-inspired garage rock! 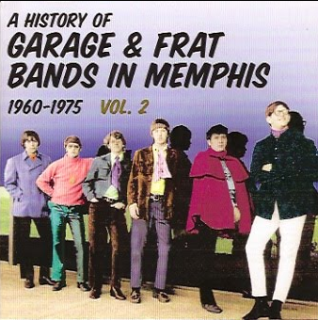 A History of Garage and Frat Bands in Memphis, 1960-75 is an amazing candid history and discography of over one hundred garage bands who recorded at least one record in Memphis from 1960-75. Great pictures to boot! 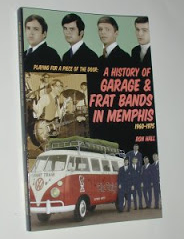 Memphis historian and author Ron Hall researched and wrote this definitive account of the garage era in Memphis. Indispensable! Ron Hall's second book features more than 300 images of obscure to legendary Memphis garage rock bands in a cool high school yearbook format! This beautiful hardbound coffee-table book makes a great gift for any music fan! We still have a few copies of this limited edition book left. Order yours today before it becomes an over-priced collectible affordable only to well-endowed museums and rich art collectors. 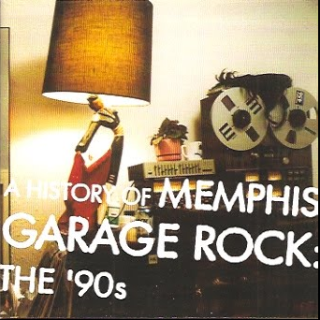 This cd contains 15 unforgettable gems from the golden era of Memphis music. Liner notes from garage rock authority Eric Friedl ofWipeout! and Goner Records' fame round out this excellent slice of Memphis history when the Beatle boots met the soul of the South in garages all over Memphis! Tracks include: Flash & the Casuals“Uptight, Tonight,” Danny Burk and the Invaders “Ain’t Goin’ No Where,” the Yo-Yo’s “Leaning on You,” and the Rapscallions “Land of Soul”! More rockin’ tunes from back in the day beginning with the psychedelic classic by the Breakers “Don’t Send Me No Flowers.” Represented here includes nuggets by the Ole Miss Downbeats, the Shades, the Merits, the Ponees, and Tommy Burk & the Counts! 16 tasty morsels in all!